New issue of D’SCENE Magazine is around the corner and we are sharing another eye-catching tease from the new issue, starring top model Nathaniel Visser who teamed up with fashion photographer Pat Supsiri. Nathaniel is wearing on our teaser cover a total look from the Burberry Prorsum collection. Stylist in charge was Andrew Hainsworth, while hair styling and grooming were handled by Diane Dusting (Skin Tom Ford Skincare for Men and Hair Oribe Hair). Nathaniel was photographed in Australia where his mother agency is Priscillas Model Management, he’s also represented by Soul Artist Management in New York, New Madison in Paris, d’men at d’management Group in Milano, Kult Model Agency in Germany, and Models 1 in London. Nathaniel just wrapped up a successful runway season, and listing his runway walks is an opening for Versace‘s menswear show. 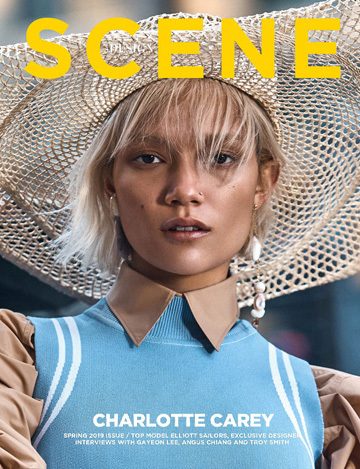 Want more of D’SCENE Magazine? Click HERE to browse the archive of our print magazine.